In relation to a dispute arising out of this website you the user and Scarab Antiques agree to submit exclusively to the jurisdiction of the courts of England and Wales. 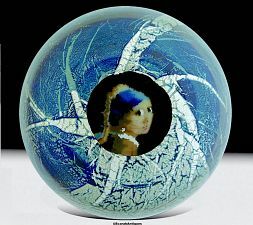 Except where expressly stated to the contrary the text and graphics in the information contained in this website is the copyright of Scarab Antiques. You may download or print out individual selections of the web pages on our website only if explicitly used for your own personal information and not to be publicly reproduced. Permanent copying or storage of whole or part of this website or the information contained in it or reproduction or incorporation of any part of it in any other work or publication whether on paper or electronic media or any other form is expressly prohibited. Scarab Antiques is committed to protecting your privacy and complying with UK and EU Data Protection laws, specifically the General Data Protection Regulation (GDPR) effective 25th May 2018. This Privacy Notice explains the types of personal data we may collect about you when you interact with us. We want you to be fully informed about your rights, and how Scarab Antiques uses your data and keeps it safe. Scarab Antiques is the controller and responsible for your personal data. For clarity, throughout this notice, ‘we’ and ‘us’ and ‘our’ refers to Scarab Antiques.